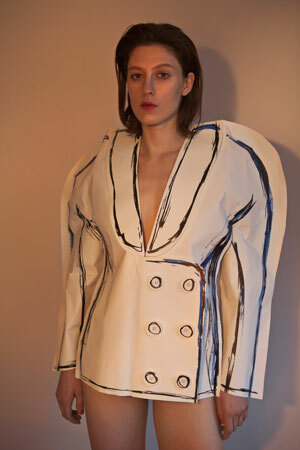 Every year, it seems, Weißensee Kunsthochschule Berlin — more than other fashion schools in Germany — churns out a new set of extremely talented young designers. This past year saw the induction of William Fan, Sadak, Steinrohner and Annelie Schubert on the runway during Berlin Fashion Week, while designer Bobby Kolade was named a finalist in the International Woolmark Prize competition. So when it held its annual student graduation show last Saturday, it came as no surprise that every seat was filled, counting attendance from major publications, including Women’s Wear Daily. Housed in the spacious halls of STATION Berlin, a former train station dating back to 1875, the evening’s event entitled seefashion15, with its industrial set up, flirted with the kind of edgy grandeur that cool fashion shows are known for. 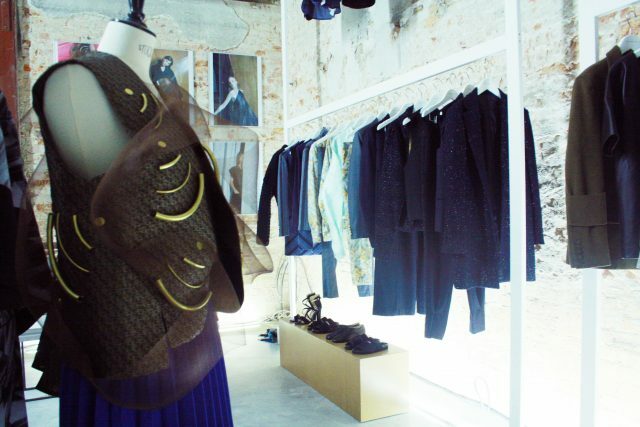 A pop-up installation featuring photos of the students’ works welcomed guests, giving us a glimpse at the students first foray into creating a lookbook for their collections. 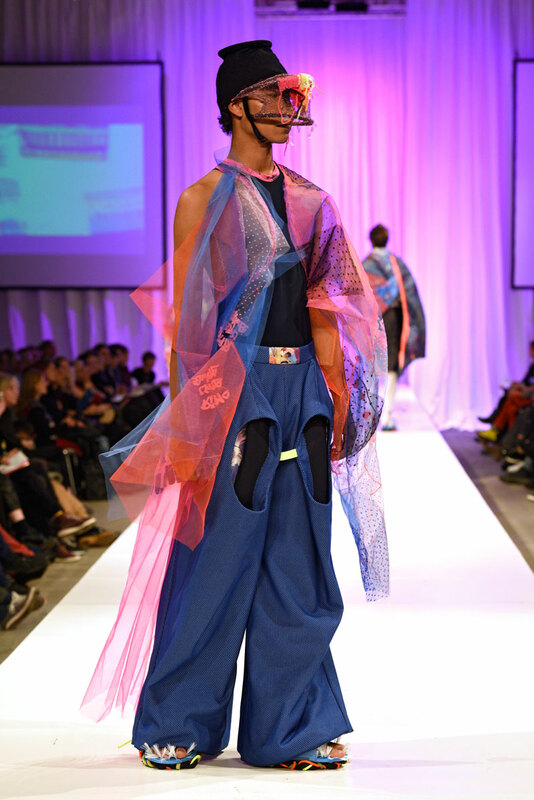 From individual bachelor’s and master’s graduation collections to collective class collaborations, the range of looks presented demonstrated a wonderful side of Weissensee we don’t always get to see — one filled with humor, theatrics, rebellion, and even a bit of intellect. There has always been a misconception that Weissensee grooms its students to produce a uniform minimalistic aesthetic — one that has notably been “popular” in Berlin throughout the last five years. 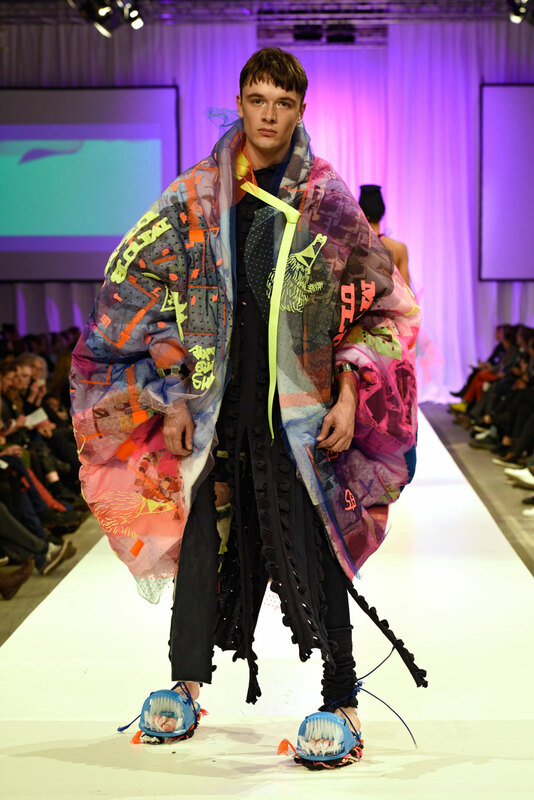 Of course, with popularity comes derision, and needless to say, the school has wrongly caught most of the flak for Berlin’s sober runway shows. Highlights from the show included Ylenia Gortana’s BA collection, which referenced 90s boy band culture, Suzi Hinz’s effusive layering, and Tran Duc Trun’s Bowie/disco compilation. Standalone standouts punctuated the evening, though strong coherent collections were left desired. What I found truly impressive with the show, was the students ability to explore music, styling, and video art to create a distinct mood for their allotted runway slots—a difficult feat considering the limitations of a shared runway. For anyone still in doubt whether Berlin can break free from its minimalist stranglehold, have a closer look. 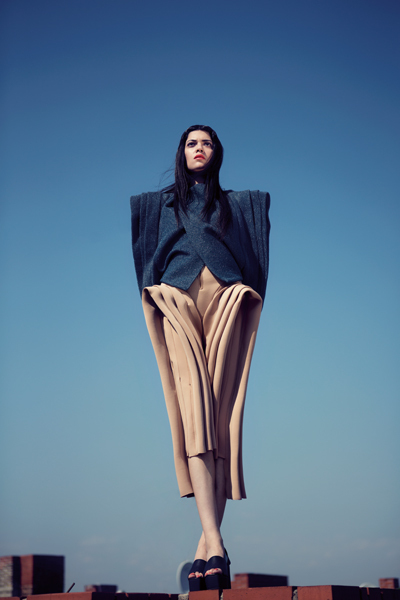 The future of fashion, at least here, may not be so clean and controlled after all.